An ideal map for the angler. 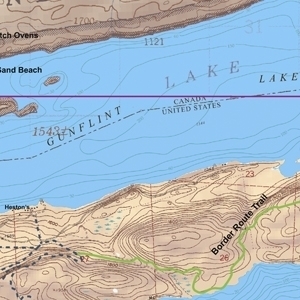 This map details the Gunflint Lake area with water depths. Scale is 1:31680.